This is one of the coolest pv that i have ever seen so far in this year. Zebra ZEEBRA is look very cool in this pv and rap very well, as expected from one of the most popular rapper in Japan. For your information, Bushido (means Way of the Warrior) is a Japanese code of conduct and a way of life, loosely analogous to the concept of chivalry. It originates from the samurai moral code and stresses frugality, loyalty, martial arts mastery and honor unto death. If you are fan of rap or hip-hop, i am sure you don’t want to miss this great song. 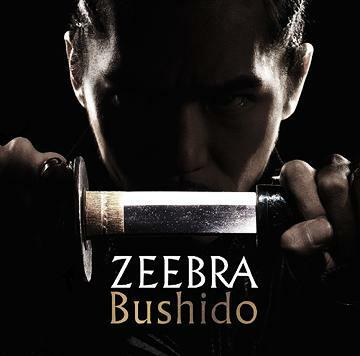 This entry was posted in Music, Zeebra and tagged bushido, bushido ビデオ, bushido mp3, bushido pv, bushido single, direct download, download, j-rap, jrap, single, Zeebra, zeebra - bushido, zeebra pv, zeebra single by mofandom. Bookmark the permalink.